Daniel Kelley has been Last Resort Music’s arranger since the company’s inception in 1996. 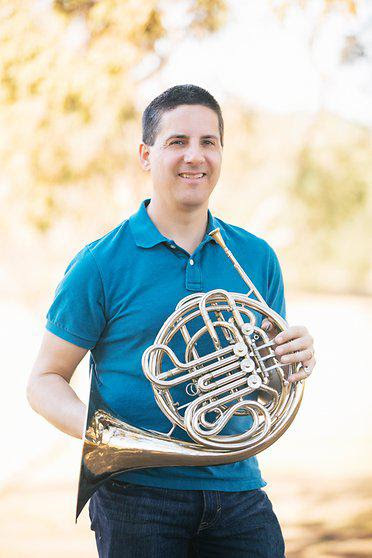 Trained at Interlochen and the University of Southern California, he is a pianist, a composer and arranger, and a French hornist. He is a member of the Los Angeles Opera Orchestra and the Pasadena Symphony, and has worked on many motion pictures, including Star Wars Episodes VII and VIII, Rogue One, Sing, Frozen, Big Hero 6, Suicide Squad, and all of the Pirates of the Caribbean, Ice Age, and Men in Black films. As well, he has performed and recorded with vocalists such as Barbra Streisand, Gwen Stefani, Josh Groban, Michael Bublé, Céline Dion and Will.i.am. Daniel also mosaics, drives a cherry red 1929 Model A Phaeton, annoys practically everyone with puns, and enjoys playing records on his 1925 Victrola. He and his wife Cynthia have three children and too many fish. Adair, Darcy and Adele are the names of the children.